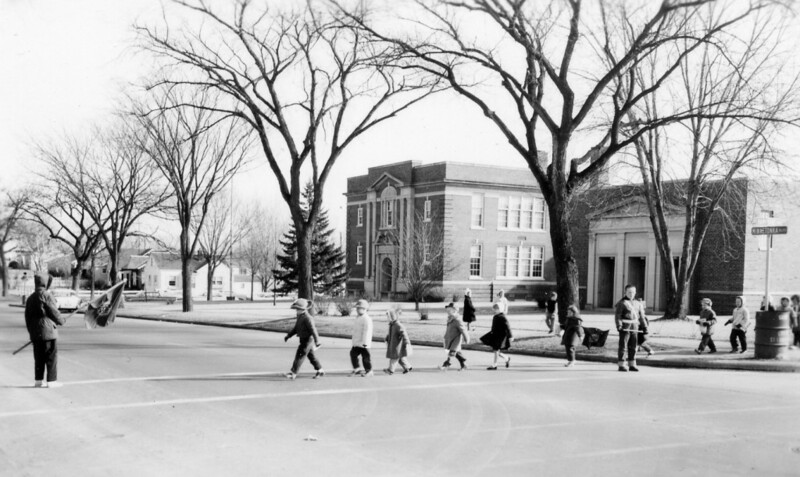 Lenox Elementary School was located at 6715 Minnetonka Blvd., on land that had been the George Goodrich farm. The four room school was built in 1925. The architect was Stebbins, Haxby, and Bissel. At first only three of the rooms were used. The Lenox PTA was the first PTA in the Park, starting on September 16, 1929 with 40 members. (The group was formally organized as a PTA in 1937.) The group sponsored card parties, dances, and other fundraisers to provide the students and teachers with amenities that the school board couldn’t afford. Members actually prepared hot lunches for students before the hot lunch program began; the cost was 2 cents. In the 1930s and ’40s, the ladies canned fruits and vegetables for students’ lunches. In 1947 PTA mothers canned 638 quarts of fruits and vegetables. The school patrol boys were often mentioned as recipients of PTA funds. In 1937 the 12 boys received tickets to the Shrine Circus. In later years they received raincoats, mittens, and leggings. In later years, girls were included in the school patrol and some have never forgotten standing out on the corner of Minnetonka Boulevard when it was minus 20-30 degrees in the Minnesota winter. The PTA also sponsored Bluebird groups (1944) and Brownies (1945), Boy Scouts (1948), and Mohawks. In 1939 the PTA was successful in getting a street light erected in front of the school. During World War II members helped with the food rationing effort by passing out 3,000 booklets on the subject. 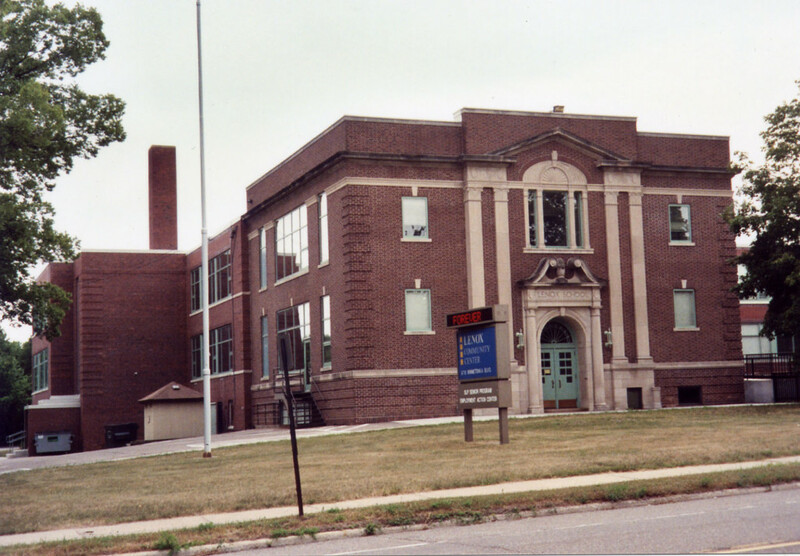 The school was not used during the 1946-47 school year while 16 classrooms were added. Also added were offices, a library, gym, and a lunch room. Children attended Oak Hill School while construction was underway. 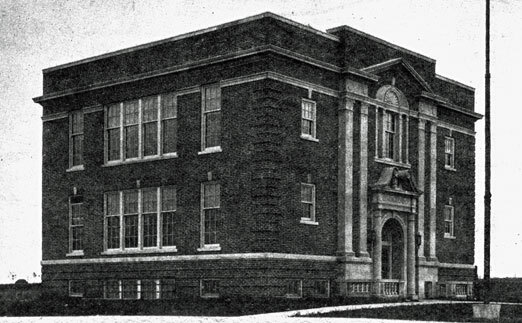 The school reopened in the fall of 1947. 1951 saw the first PTA Carnival, a popular fundraiser for many schools. Proceeds paid for 12 phonographs for use in classrooms. The PTA also paid for pianos for the school. Clothing and toys were collected and sent to children in Korea. In the years from 1954-1957, enrollment surpassed 1,000 students. In 1959 there were over 500 members of the PTA. 1958-59 Census: 591 students, 21 teachers. 1960-61 reflected the cold war with a slide show called “Communism on the Map” presented by Mr. Richard Heffernan, former FBI agent. The presentation was followed by the film “Operation Abolition,” which portrayed San Francisco students protesting the House Un-American Activities Committee as Communists. That year there were 650 students at Lenox. In 1963 we see Lenny Lenox, a stuffed dog, presented to the classroom with the highest percentage of PTA membership. Or was that Mrs. Lenny Lenox? 1964-65 Census: 690 students, 23 teachers. 1966-67 Census: 711 students, 25 teachers. In a sign of the times, a 1968 talk entitled “Are You and Your Child Tuned in on the Same Channel?” was given by Dr. Leonard Bart, Professor of Speech Communication at the U of M.
The school was remodeled in 1968 to better accommodate a shrinking population. 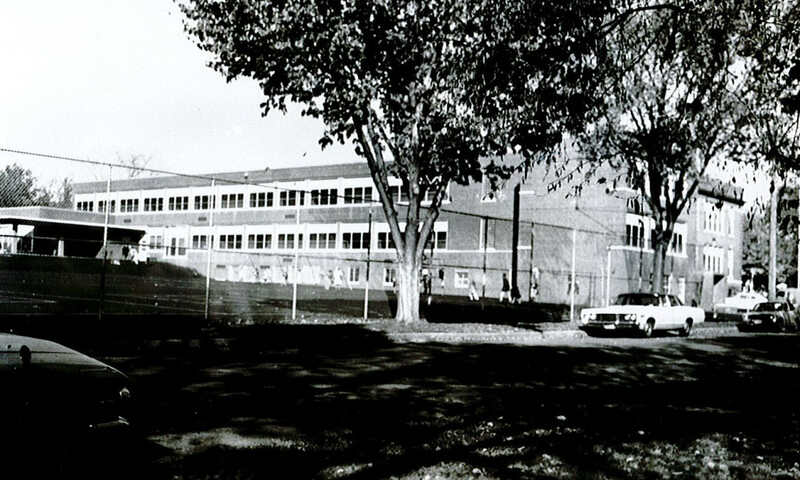 400+ students attended Lenox in the 1974-75 school year. In 1975 the building was decommissioned as a school. In the spring of 1977 construction began to refurbish the building. 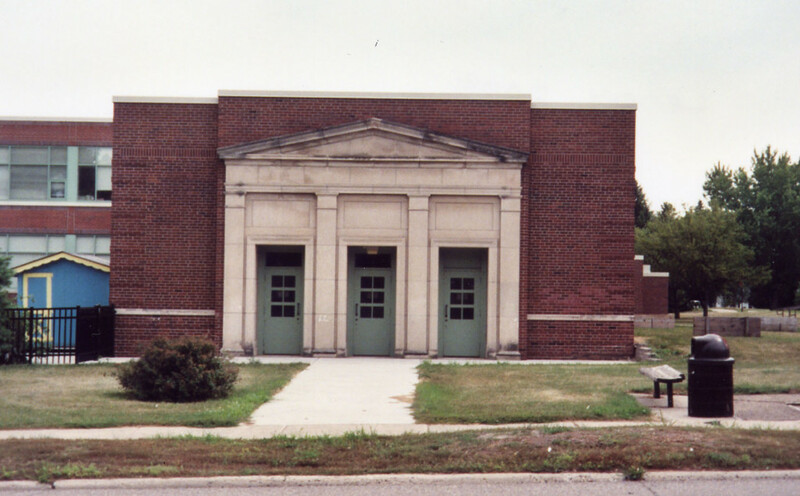 On September 27, 1979 [October 5] the building was dedicated as the Lenox Community Center, home of the St. Louis Park Senior Center, a pre-school program serving 20 students, and other cooperating agencies. In the fall of 2003 the St. Louis Park Historical Society obtained space in a lounge on the first floor for use as an office, which it used until the building was renovated in the fall of 2014.